I thought I did my research well. Consulted with bloggers, clarified with Google. All the hot spots were written down with special notes on what to try from there. But nothing, I repeat, NOTHING will guide you like the words of wisdom from a local food lover. And that is what I got lucky with. Thank you Ken, because of you, I saw Singapore in a fabulous new dimension. 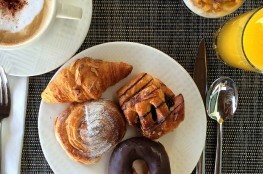 Here are 4 drool-worthy gems I discovered while following the Singaporean’s advices. 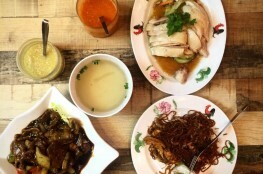 A steamboat specialty restaurant that can be your ‘nirvana’ spot after a late night clubbing in Clarke Quay. The outlet is open till 6AM serving lip-smacking hot pot soups along with super-flavorsome meats, specialty balls, house-made noodles and a whole hoard of intriguing things on skewers and platters. Reservation is heavily advised; though waiting is made fun with free manicures, popcorns, fruits and games. 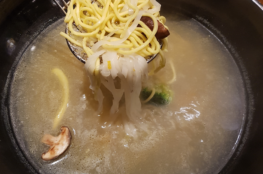 Recommendation – select the 4 base hotpot so you get to try four different flavors of soups. We loved the seafood and Sichuan soup, and the Hai di lao style beef and cumin marinated chicken to go with it.Click HERE for my complete post on our Hai Di Lao experience. Its modest and it’s as authentic as it will get! The servers know just bits and pieces of English, but are great with signs and gestures, so fret not – you are covered! The menu is mostly about grills and barbecues with a phenomenally fragrant spice rub that I can kill to get my hands on. There is a HUGE choice of pork delicacies if you wish to try, along with premium scallops, mandarin jelly fish, beef tendons and dumplings. Fervently recommend the Grilled fresh prawn, chicken mid-wing and the big lamb rib. The friend who tried the pig ear with cucumber and the grilled pig trotter swore by it, so that (especially the former), should also be in your list to try. BBQ station lets you choose the number of pieces/skewers needed – giving you the flexibility to try a LOT of their offerings without having to order too much food. HERE to read my full account of the BBQ Station experience. This is not a fairy tale land. It is a boxing ring where your taste buds are going to get assaulted. Sichuan comes as a revelation where wonderfully hot chillies rule your meals. Whether it is the Snake head sliced fish in hot & spicy sauce or the Spicy frog in Sichuan style, masochistic things will be done to your palate but in the end your hands will go back to the ladle dumping more of those Sichuan peppercorns laden, flavor loaded, incredibly aromatic curries into your plate. Highly recommendable if you can handle some spice. Our advice is to stick to the “Low SPICY” version of the meals. Our misplaced bravado had us ordering the “Very Spicy” version and that maybe something you should steer clear of. Took us to the doors of hell and back even though it was one helluva delicious ride. Click HERE to read the full account of our Lao Sichuan adventure. Though we were short on time to march to the Katong Shopping Center and relish the Hainanese Chicken Rice there (as originally advised), we had to make do with the next best option in our vicinity. That meant dining at Jew Kit in Killiney Road, a restaurant that specializes in the said dish. Hailed as the national dish of Singapore, Hainanese Chicken Rice looks pale and bland (especially to those coming from curry drenched, masala soaked Indian sub continent! ), but the chicken is infused with a flavor that is sure to grow on you. Jew Kit served us well in enjoying our little affair with this Singaporean, locally-loved dish, though you can try it out at any of the street food courts which I’m sure will not let you down. Just make sure you don’t remain a Hainanese chicken rice-virgin on your trip back from Singapore. 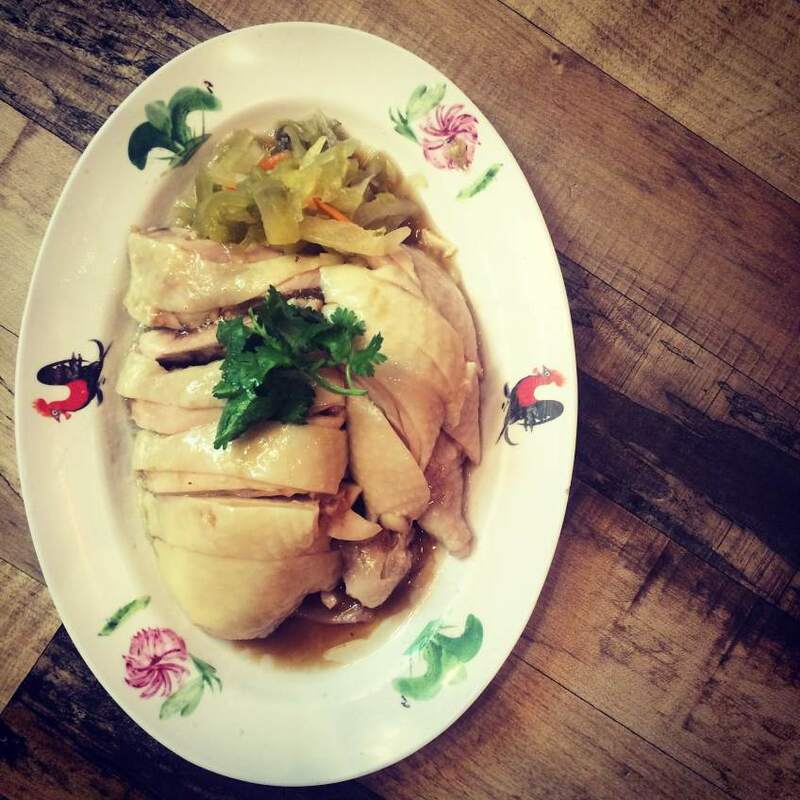 Click HERE to read the full account of my Hainanese Chicken Rice endeavor at Jew Kit Restaurant. P.S: According to Ken, the Laksa at Katong is a must try. So is the tri-shaw ride around the city at night. He literally dragged us into it, and I must say it was a lovely 20 minute open-air experience. 4th generation tri-shaw cyclists took us around the city, pointing out to the landmarks and giving us snippets of the city’s olden and local secrets. We rode in an 85 year old tri-shaw that can be found parked somewhere along the Clarke Quay alleys. Keep your eyes open for them- it’s worth it! 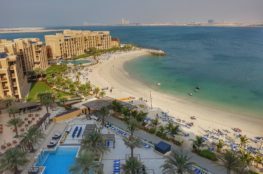 Double Tree Hilton, Marjan Island - story of a staycation. I’ve been to Singapore last year but wasn’t able to visit these restaurants. Will definitely check this out on my next trip there. But definitely the LAKSA is the best, the chili crab and Kaya toast and soft-boiled eggs. Amazing blog!! With super cool reviews , everything well explained. Enjoy reading your blog !! That felt like a tour of Singapore all over again!!! Must adjust I was not adventurous enough to try out the local cuisine as much as you have tried, not even close! Iam gonna follow this blog for my next visit! Great review!